As of February 20th, 2013, you’re going to have two fewer characters to send a message on Twitter when you’re sharing a link. 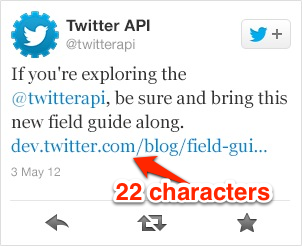 The t.co wrapper that Twitter is using to shorten web addresses is lengthening from 20 to 22 reserved characters. This means that any link you share will now take up two more spaces that you could previously use for letters. The HTTP links will go from 20 to 22 and HTTPS (secure) links will go from 21 to 23 characters reserved for the t.co short-linking wrapper on Twitter. If you’re unfamiliar with the way this works, when you share a link on Twitter, it is automatically shortened, and takes up exactly 20 characters, leaving you 120 to tweet with. Now, you’ll have 118 (or 117 if it’s a secure link). The changes will start to be enacted on February 6th for developers and Twitter will generate shortlinks automatically using this longer format on February 20th. Developers will have to change their applications in order to match up with these new guidelines. So, when you’re sharing tweets with links after that date, you’re going to have to slice them down by two more characters. 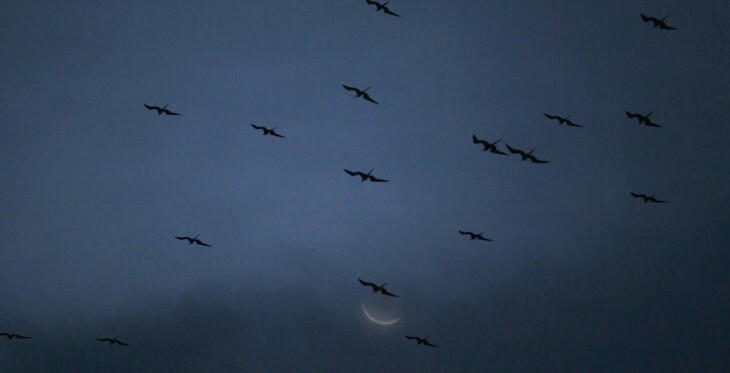 Tweets without links will be unaffected. As to why the lengthening of the short-link wrapper format, who knows? We’ve reached out to Twitter to see if they’re willing to share why the length of the wrapper is being changed, but we doubt they’ll have much to say about it. It is a bit odd, because 20 characters was already overkill for crafting a short-form link, but there could be some sort of referral addition that they need to add that could need additional space. Perhaps something to do with Twitter’s analytics platform, which tracks the performance and traffic sent to t.co links. Adding more characters also increases the number of short URLs that Twitter can store, but that’s already in the trillions. All it means for you, though, is two fewer character slots to tweet with.